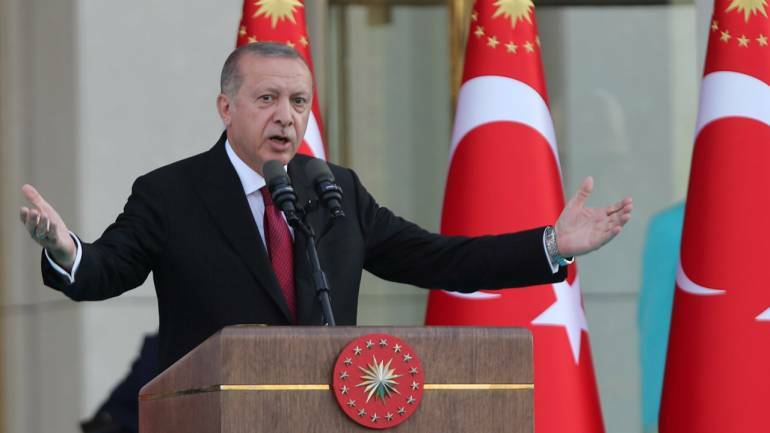 PRESIDENT Recep Tayyip Erdogan has threatened brokers in the fruit and vegetables who tried to beat up government inspectors tasked with prices inspection. Erdogan made an example on Sunday of how terrorists were neutralised in Mounts Judi, Gabar and Tendurek. All of these are the highest mountain ranges in South and East Turkey. “People who have been exploiting my citizenry will find us standing up against them. We can’t allow the exploitation of our nation. With God’s permission we will finish this exploitation,” concluded Erdoğan. Meanwhile, last month, the retail price of 112 products in the Istanbul Producers Cost of Living Index of ITO increased, while the price of 57 products dropped and the price of 73 products remained unchanged. In January, green pepper which is listed as a fresh-dried vegetable and in the fruit group was the highest in the price group with 73.75% escalation.